There’s a new rail line opening and a CicLAvia – both this weekend! Plus lots more to do in and around Los Angeles. Monday 3/1 – Metro is hosting its Active Transportation Summit. Learn about and give input on Metro’s Active Transportation Strategic Plan. The summit takes place from 8 a.m. until 12:35 p.m. at the Metro Board Room at Metro Headquarters, One Gateway Plaza in downtown Los Angeles, right behind Union Station. It is free, but Metro requests pre-registration here. Tuesday 3/1 – The New Urbanism Film Festival opens its call for submissions – enter your short or long urbanist film for consideration for upcoming festivals. Details at NUFF. Wednesday 3/2 – The Los Angeles Department of Transportation (LADOT) is hosting an open house for the Breed and Sheridan Elementary Schools Neighborhood Safety Improvement Project. The meeting takes place from 7 to 9 p.m. (arrive any time before 8:30 p.m.) at Boyle Heights City Hall at 2130 E 1st Street in Boyle Heights. Details at Facebook event and on flier [PDF]. Friday 3/4 – It’s “March Forth” and L.A. Walks is hosting a fundraiser party to party to celebrate and support walking. It takes place at 6 p.m. at City Labs at 553 S. Clarence Street in Boyle Heights. Details at Los Angeles Walks. Saturday 3/5 – Attend a community meeting to Make Jefferson Beautiful – including being safer for walking and bicycling. Jefferson improvements under consideration are tree planting and bike lanes. Meet at 10 a.m. at the Denker Recreation Center at 1550 W. 35th Place in South Los Angeles. Details at Facebook Event. Saturday 3/5 – The Chinese American Museum hosts its annual Los Angeles Lantern Festival to mark the lunar new year. Come see community booths, museum tours, live entertainment, music, arts & crafts, and food trucks. The festival takes place from noon to 7 p.m. at the Chinese American Museum at 425 N. Los Angeles Street in downtown Los Angeles, adjacent to the Plaza across from Union Station. Additional details at CAM and Facebook event. 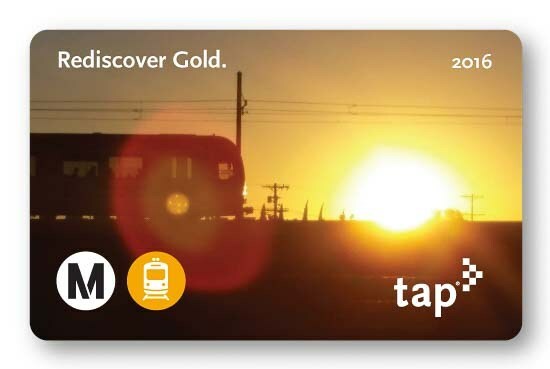 Saturday 3/5 – Metro opens the brand spankin’ new Foothill Gold Line extension all the way to Azusa. More details later this week – additional information at Metro. Sunday 3/6 – CicLAvia – The Valley goes to the North San Fernando Valley. CicLAvia, Mar Vista Great Street, La Verne active transportation, Boyle Heights garden, Purple Line neighborhoods, Metro board, Relámpago Wheelery, Great Streets, Move L.A., and more!